This is one of my favorite hymns that we sing at our church. A couple of the words are changed here and there to make it a bit more modern, but the message is the same. We sang it just last week, in fact, and that's when I thought I should create a print to share. 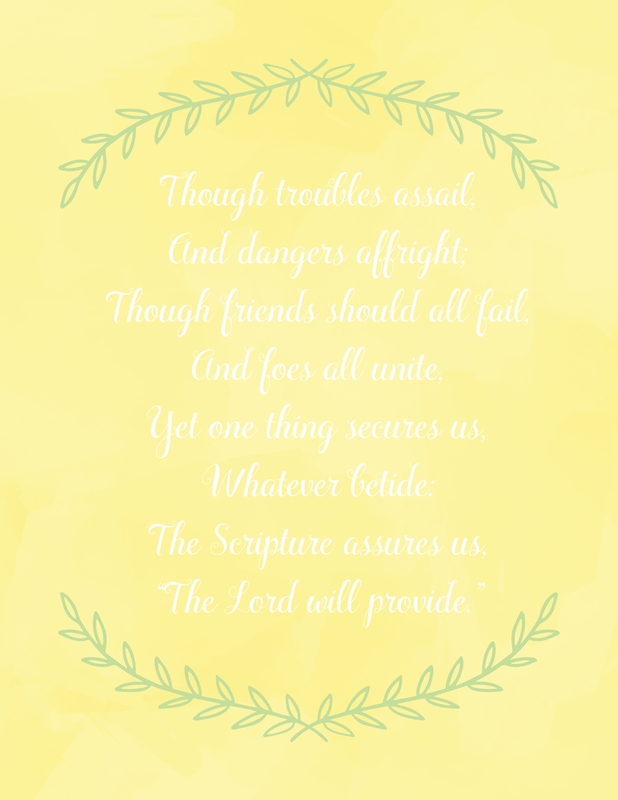 I wish there were a way that I could include all of the verses, but the first verse says plenty. Click the link above to save the PDF file. It should be easily trimmed to fit an 8 x 10 frame if you'd like.